Canada has been ranked as one of the top ten places to live in the world since 1994 and, the quality of its education system, combined with its fantastic standard of living and low tuition fees, make it a great place for international students to learn English. If you love nature, Canada is for you. Canada has four distinct seasons with an incredible range of weather and landscapes and, for those who enjoy outdoor recreation, Canada offers a wide variety of activities and sport. 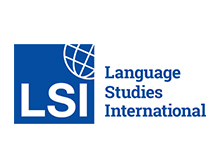 Explore Canada’s most popular study destinations below and apply with SI-English today. We will guarantee you an offer from a Canadian English school within 24 hours! Canada is a peaceful, stable and safe country with a multicultural population and one of the best education systems in the world. Over 330,000 international students come to Canada to study each year, and the United Nations has ranked it as one of the best countries in the world to live. Can I work as a student in Canada? All students are allowed to work up to 20 hours per week on the campus they study at. If you are allowed to work off campus (check your study permit), you will be able to work 20 hours per week while your programme is in session, and full-time during breaks in your academic calendar. SI-English will help you apply to study in Canada by filling in, submitting and tracking your application from start to finish. We will then guarantee you an offer letter from a Canadian language school. Where can I study English in Canada? Learn more about some of the great cities and language schools in Canada below. Toronto is Canada's largest city and is famed for its unique architecture, compact centre and impressive liveability ranking. Whether interested in great food, theatre or sports, Toronto has it all. Famous sites include the CN Tower, the Royal Ontario Museum, and the Art Gallery of Toronto. Embassy English New York is close to Times Square and the Empire State Building and offers a wide range of English language courses. 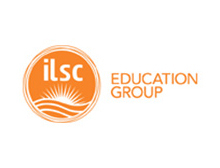 Choose from a wide selection of courses and programmes customised to suit your passions and goals at ILSC-Toronto. Referred to by many as ‘Manhattan with mountains’, Vancouver is a hugely multicultural city with 35 percent of people living there originating from overseas. It is no surprise so many students choose to study in Vancouver with its mild climate, safe atmosphere, and beautiful surroundings. LSI Vancouver's facilities include a computer lab with internet access, a library of self-study materials and a student lounge. 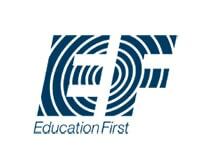 Education First International Language Centres provide international students with first class English language courses in Vancouver. 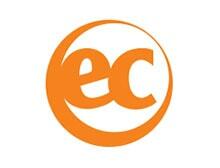 Established in 1987, EC Vancouver provides general, academic and exam preparation courses in the heart of Vancouver. Looking to study elsewhere in Canada? Calgary is a cosmopolitan city in the province of Alberta, while Kelowna is surrounded by provincial parks, pine forests, vineyards, orchards and mountains. Montreal is one of only five design capitals in the world, is the second biggest French speaking city in the world after Paris, and also has more restaurants per capita than anywhere else in the country! 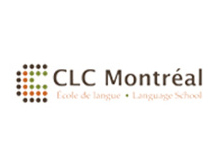 CLC Montreal language school helps language learners discover greater richness in life through conversation, culture and connection. Located in the heart of one of Canada's most vibrant cities, Global Village Calgary is known for its great staff and community spirit. 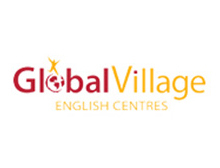 Global Village Victoria teachers encourage a strong sense of community and friendship in their English classes.